Here’s a quick contest for you readers who check in regularly here on DCHeavyMetal.com. 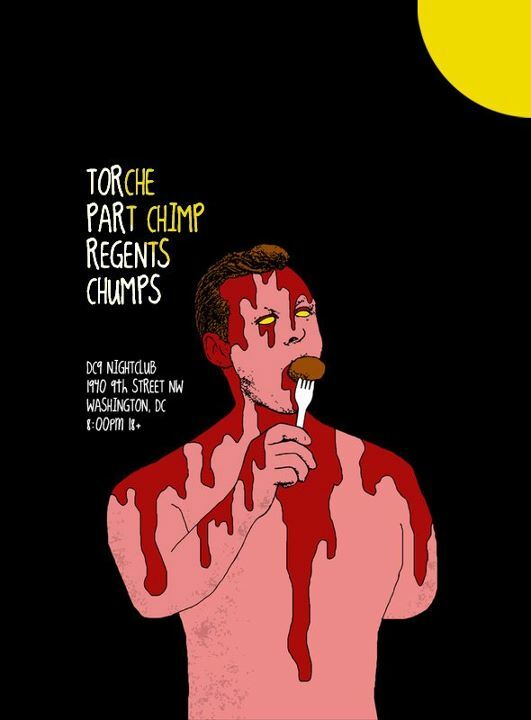 Florida’s Torche is bringing their thunder pop to DC9 this Thursday. I’m giving away a pair of tickets to one of you on Wednesday 9 November 2011 at 6pm EST. All you’ve got to do to enter is tell me which song you’d like to hear them close their set with in the comments below and I’ll pick a winner at random from all the valid entries using Random.org. Be sure to use a valid email you check regularly so I can contact you if you win. Also, this show is ages 18+ only, so if you are under 18 you are not eligible. Even if you win they won’t let you in the door, so please don’t enter if you are a minor. If you don’t know any of their song titles you can check out the set list I photographed when they played at Jaxx back in March on the right and pick one from there. Torche plays a sort of stoner metal and rock hyrbid that is full of great riffs, and they are really fun to watch live. This show should be a lot of fun! They’re playing with the London based band Part Chimp, as well as the regional acts Regents and Chumps. Hell, even if you don’t win you should come out to this show, it’s going to be a blast! You can get tickets from Ticket Alternative right now for $12 here, the price goes up to $14 the day of the show. My favorite song is “Warship” which always makes me think of armor-plated zeppelins advancing on a city a la steam punk fiction.